It is estimated that in 1500 about 250,000 people lived in Wales. The vast majority of these people lived in those areas controlled by the Marcher Lords. This land had originally attracted the Norman invaders because it was fairly good for growing wheat, barley and oats. The land controlled by the crown, the Principality, was very mountainous, which made arable farming very difficult. Most farmers in this area therefore concentrated on pastoral farming (the rearing of livestock). Wales had great difficulty producing enough food for its needs. It has been estimated that about 50% of the population suffered from malnutrition. This made them extremely vulnerable to disease. 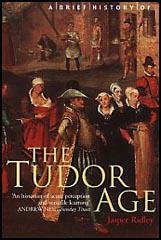 As a result of this, very few people living in Wales in Tudor times could expect to live beyond the age of thirty-five. Infant mortality in Wales was also very high. It is estimated that about 25% of babies died at birth and another 25% died before they reached their first birthday. The poor often received help from the forty-six monasteries in Wales. However, the monasteries in Wales were not as prosperous as those in England. Their total income in 1535 was only £3,178 which was less than that received by just one of the larger monasteries in England. 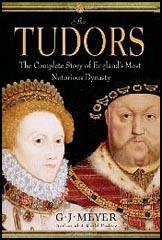 During the Reformation all the monasteries in Wales were closed down by Henry VIII. Although most of the church leaders initially disagreed with Henry's decision to break with Rome, only two members of the Welsh clergy refused to sign an oath accepting Henry as the head of the church. 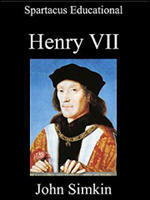 Between 1536 and 1543, the English Parliament passed a series of laws that became known as the Acts of Union. The Principality and the land controlled by the Marcher Lords were now joined together to form a united Wales. Like England, the whole of Wales was now divided into shires. The administration of these shires was based on the shires in England with each one having its own Justice of the Peace. Under the terms of the Act of Union, Wales was granted permission to be represented in Parliament. In 1542, twenty seven people in Wales were elected to sit in the House of Commons. Most of these elections were not contested and the person sent to the House of Commons was usually selected by a few wealthy families in the area. The vast majority of the population only spoke Welsh. The decision by Henry VIII in 1536 that all courts of law had to use English rather than Welsh created a great deal of anger. Another law passed at this time stated that people could only be appointed to official posts if they spoke English. These new laws encouraged many people to learn English. Although most of the gentry continued to speak Welsh, most written communication was now in English. However, the vast majority of priests who could read Welsh and Latin were unable to read English. This created a problem when the church wanted to convert the Welsh from Catholicism to Protestantism. Eventually permission was given for William Salisbury to translate the Protestant Prayer Book into Welsh. This was followed by a Welsh edition of the Bible. This action helped to preserve the Welsh language from extinction. The people of Wales... do daily use a speech nothing like the natural mother tongue used in England... From henceforth no persons that use the Welsh speech or language shall enjoy any... office or fees within this realm of England and Wales. The English and Welsh do not have many dealings with each other... nor do they usually join together in marriage. There is a round ball prepared... so that a man may hold it in his hand... The ball is made of wood and boiled in tallow to make it slippery and hard to hold... The ball is called a knappan, and one of the company hurls it into the air... He that gets the ball hurls it towards the goal... the knappan is tossed backwards and forwards... It is a strange sight to see a thousand or fifteen hundred men chasing after the knappan... The gamesters return home from this play with broken heads, black faces, bruised bodies and lame legs... Yet they laugh and joke and tell stories about how they broke their heads... without grudge or hatred. The commodity of corn brings in the most money to this county... The second is cattle... The third commodity is wool... The sheep are small and the wool coarser than the English wool... The fourth principal commodity is butter and cheese.